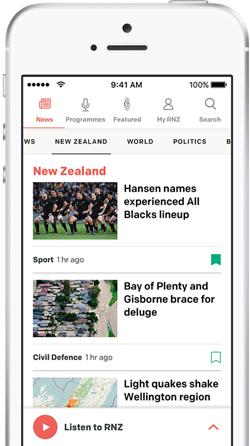 The Labour Party wants to create a new public digital media service, built around RNZ, to transform it into something similar to the ABC in Australia. The policy would include a $38 million boost for quality programming and journalism, to be distributed by a new Public Media Funding Commissioner. Labour leader Jacinda Ardern said the party wanted to turn RNZ into a fully multi-platform non-commercial entity, including a free-to-air non-commercial television service, with a working name of RNZ+. Ms Ardern said RNZ+ would increase in-house production and distribution of New Zealand content, with an emphasis on quality reporting and investigative journalism. She said it would also mean Māori, Pasifika and other ethnic communities, people with disabilities, and education and entertainment for children would have a stronger presence. Speaking at Auckland Film Studios, Ms Ardern said a strong, informed democracy needed a strong, independent, free public media service. "Public media, backed with sustainable funding, is essential to ensuring all New Zealanders are engaged and heard. "However, a commercial market cannot deliver all of this." Ms Ardern said she also wanted to implement a long-term film industry strategy to be developed with the sector, to better manage the industry's economic cycles. But National leader Bill English said there was no need for a new televised public service. "It's hard to understand why they'd want to spend tens of millions on getting more onto screens. It's not hard to get onto a screen these days, you don't need a new digital station or TV station to do that. New Zealanders are very well served now by Radio New Zealand, who do a very good job." Mr English said if people wanted more investigative journalism, then they can pay for it. However Peter Thompson, who chairs the Coalition for Better Broadcasting, said Labour's plan was a significant and positive move. "It recognises that in the digital environment you can't just assume that everything is available online and that you can get everything you want from Facebook, Google or Netflix," Dr Thompson said. "There's still a need for public service at the centre of our ecology to serve our needs culturally and democratically." Earlier in the morning, Ms Ardern cast her vote at a polling booth in a community hall in her local electorate, and encouraged others to do the same. "More than 27,000 people in the last election cast a vote that didn't count, in part because people can sometimes vote believing they're enrolled but they weren't. "So we want to make sure that if you want to remove any error, make sure you vote early." Fairfax-owned Auckland City Harbour News, delivered to 20,000 houses since 1985, is to go online-only. Sinead Boucher has been appointed as Fairfax Media's new New Zealand chief executive. The Nelson Mail looks set to follow the Marlborough Express in cutting its circulation to fewer days each week. 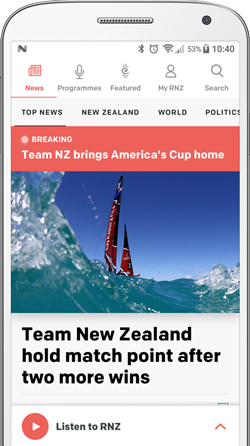 Media company NZME has recorded a first-half net profit of $7.8 million, with revenue down 3 percent for the six months ending in June.